Lengthy and Volumized Lashes Made Possible with VNC Mascara*! | Vanity and Everything in Between. VNC 3D Fiber Mascara really comes in two tubes and encased in what seems like an eyeglasses case. You need to use both to achieve long and thick lashes! Here's what their mascara wands look like. The first wand is similar to most mascara wands. This wand is the mascara wand of the collagen transplanting gel. The second one is the fiber wand. It leaves fibers on your lashes to make it thicker then you seal it with the collagen gel mascara. 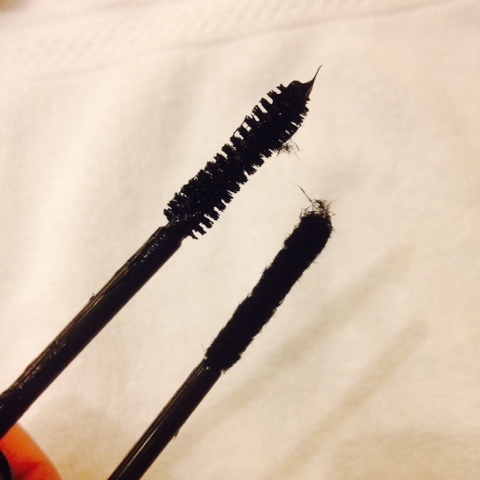 Mascara wand A on the left; Mascara wand B on the right. Appreciate the magic starting with the photo below. Those are my bare lashes. I call them sad lashes. They're short and fine. 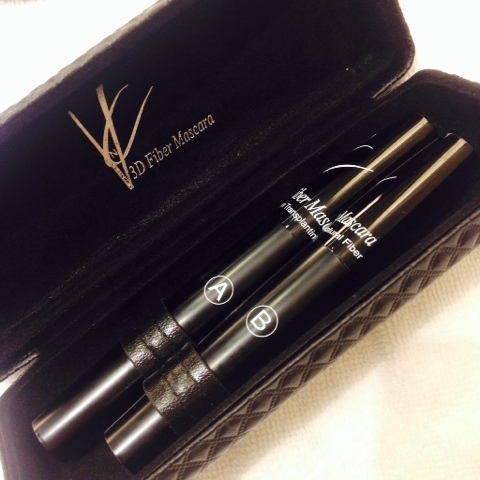 VNC 3D Fiber Mascara has specific instructions to be able to achieve long and thick lashes! It's AB-AB-AA. What's that? A refers to the collagen transplanting gel. B refers to the finer mascara. 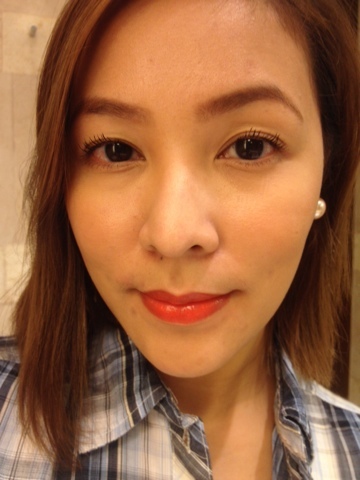 The photo below is my lashes (on your left) with one layer of Collagen Transplanting Gel [tube A]. One coat and you can immediately see how long my lashes are! Compare it with my bare lashes. Now, that you have applied the collagen gel [tube A], apply one coat of the Fiber mascara [tube B]. You don't have to apply the finer mascara all throughout your lashes - from roots to tips. Apply it from the middle to your tips. I didn't understand the logic then but then I realised that it feels a bit heavy when it starts to settle. Check my lashes (on your left) too see how volumized my lashes look. I don't know about you but it's definitely impressive! 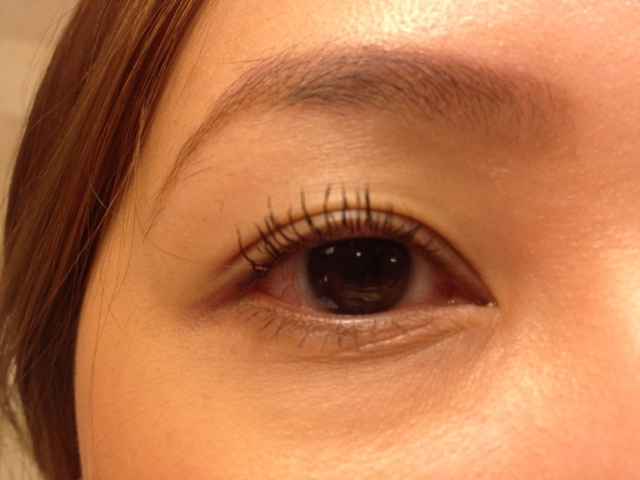 After applying the fiber mascara, seal it with with the collagen transplanting gel (Tube A). If you want more volume, just repeat these steps: AB-AB-AA. The most important thing to remember is to not end with Tube B! Never! Always set it with the collagen transplanting gel! If you don't set it, he fibbers will eventual fall off and your face will have black spots. If you're really unlucky, expect to have panda eyes. I know cos I tried it. I wanted to know the effect if I didn't seal it with Tube A.
Heres a closer look of the mascara applied with one coat. Do note that I didn't curl my lashes and yet it looks curled! And of course, an FOTD to end this post. This mascara retails for PhP1,800 and will be emptied in 60 days if used daily. Its life span is around 3 years. If you want to try this, I suggest use this on special occasion if you're not willing to shell out PhP1,800 for a mascara. If you feel that the collagen transplanting gel is starting to dry up, just place the tube on a warm water for 10 minutes and it will be good ad new again. 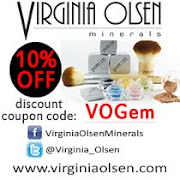 As we speak, VNC 3D finer Mascara can be bought online at vncproducts.com. You may also text them at 0927-8975574 if you'd like to get one. 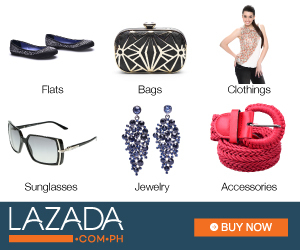 They do not have an actual store yet but they are currently consigned inside a spa at NAIA Terminal 3. So, yeh, the only con about this product is the fact that it's not widely available yet in the Metro. this is pretty cool (although pricey) . makes you look more like a doll! Impressive! 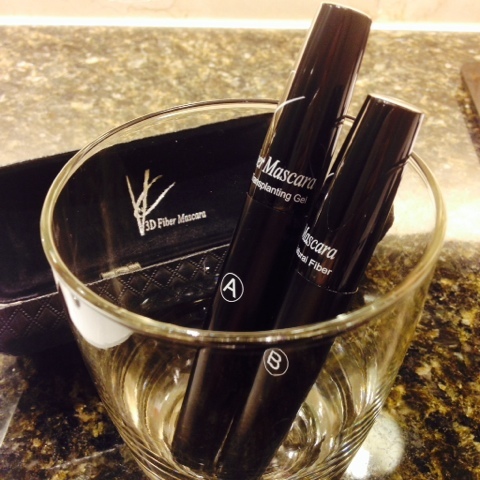 We can really see how the VNC 3D Fiber Mascara lengthens and defines eyelashes. But tricky to apply haha! Yes, it's like having to remember a mathematical formula: AB-AB-AA. Hehe! :D This is my first time to learn about a mascara "sealant" (tube A). It does make sense because too often, mascara smears/smudges and makes a mess around the eyes. Really impressive! You did not curl your lashes yet they look curled and it has lenghten your lashes, too. The price makes this just special occassion nga, pati narin yun mga steps. Kelangan mo talaga mag allot ng time para masunod yun steps. Kung pang araw araw lang, baka masyado malaki oras mawala eh mag aayos pa ng kilay and all. You said that the life span of this was around 3 years, Ms. Gem? Do you mean 3 years if it's still unopen? Or 3 years kahit nabuksan na? Usual mascaras needs to be disposed of after 5 to 6 months, diba? Tagal ng buhay nito kung ganon. Madali pala solution kapag nag dry, babad lang sa warm water. Yun pagiging organic, plus point nya. Yun packaging din plus point. Galing nito! Wow, amazing! 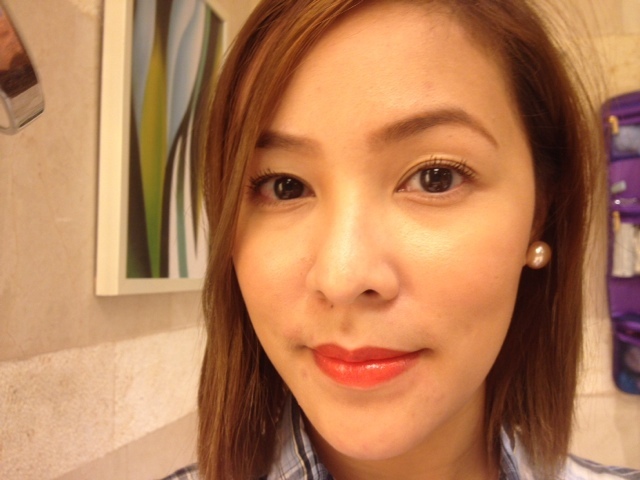 Para ka nakafalsies:) A water based mascara and organic too.Not bad. Though parang it takes time to work with it( parang ang hirap gamitin) and its quite pricey for me, masyado akong practical to avail this one.haha. Btw, love your review:) Im just really curious if it really helps the lashes to make it longer/thicker, sabi it helps daw by using this. Nawala ko kasi yung primer nito kaya nahirapan and natagalan ako i-review. Although I don't think your lashes will grow longer over time by using this. I don't remember that part. But if it does, then good! Naalala ko lang before na some claims na it helps to make the lashes longer when using regularly in a long term used nitong vnc:) Hehe. Mali ata ako.